Betway is a massive name in the world of online sports betting and the number of people using the Betway bookmakers is huge. In fact, it is one of the most popular bookmakers in the world. This is for many reasons, such as the great football markets on offer, the superb sign-up offer, and the fantastic customer service offered to every player. What’s more, you can play wherever you are, thanks to the great Betway betting app. 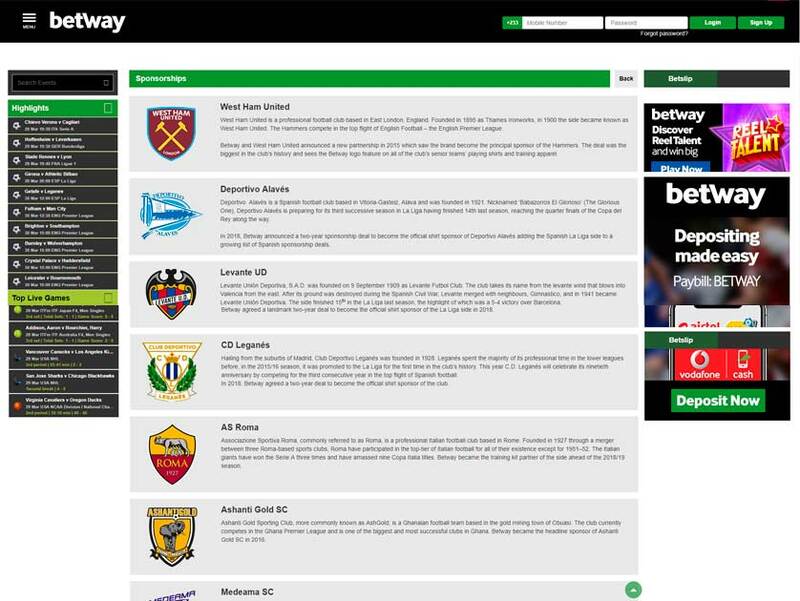 Why not learn more about this fantastic online betting site by reading through our comprehensive Betway sportsbook review below? The range of football betting options at Betway is staggering. Whether you’re using your desktop or betting using a mobile (perhaps using the Betway sports betting app), you’ll find that there are nearly always hundreds of markets open to you. From the biggest competitions in the world such as the Premier League and the Champions League, to the smallest tournaments around, everyone will find something they want to bet on. What’s more, the odds are usually great, meaning you could win more when you switch to gambling at this site. Live betting has become increasingly popular recently, and this is also something that you’ll find at the Betway desktop site, as well as at the mobile site and app for iOS and Android. Football is the main focus of live betting, as you might expect, however it’s also possible to bet on loads of other sports too, including basketball, American football and rugby. If you’re looking for an online betting site with the full range of markets, both before and in play, Betway is the perfect choice for you. The Betway sign-up offer is a fantastic one, giving every player a £30 free bet. It’s essentially a first deposit bonus, as those making their first deposit will find it is doubled. You can then use the free bet on pretty much every market available, including football markets. Please be aware that you can’t claim this welcome bonus if you’ve already claimed the Betway casino welcome offer, and that the bonus is only available to those depositing using credit card, debit card and PayPal. We haven’t mentioned the most exceptional thing about this free bet sign-up offer yet though: there is no wagering requirement. This means that any money you win using your free bet will go straight into your cash account, and you’ll be able to withdraw it straightaway. This isn’t seen often at all and elevates this Betway welcome offer above most other welcome bonuses. You will also find plenty of other Betway offers too, so keep your eyes open for them. Making a deposit at Betway is easy, and can be done using a desktop, or via the mobile site or betting app. There are loads of depositing options, however the majority of people will use credit/debit card, and all deposits are credited to your sports betting account immediately. There are absolutely no charges for depositing at this online betting site and the minimum deposit is just £10. You can be assured that all deposits are protected by the best SSL encryption, so your details will stay safe. Making a withdrawal is equally as easy and the average withdrawal time at this casino is about 48 hours. The PayPal withdrawal time, along with other e-wallets, can sometimes be faster though, which is why many prefer it. There is a minimum withdrawal amount of £10, which is more than reasonable, and there are no fees for receiving a payout from this bookmakers site. To use the Betway app iPhone is superb, as it will give players the chance to make bets and perform a whole host of actions. This is also the same for those with an iPad. The sports Android app is equally as impressive, and both can be downloaded for free. When you use the Betway betting app, you’ll find that you have everything at your fingertips, and we think that this sports betting app is one of the best in the business. Why not download it today and see why we rate it so highly in this Betway sportsbook review? If you don’t want to use the betting app, you can instead access the site using your mobile browser. This is the case regardless of the mobile device you’re using. Playing in this way might not be as convenient as using the sports betting app, however you’ll still have access to the same range of markets, plus you’ll still be able to claim all bonuses and promotions. 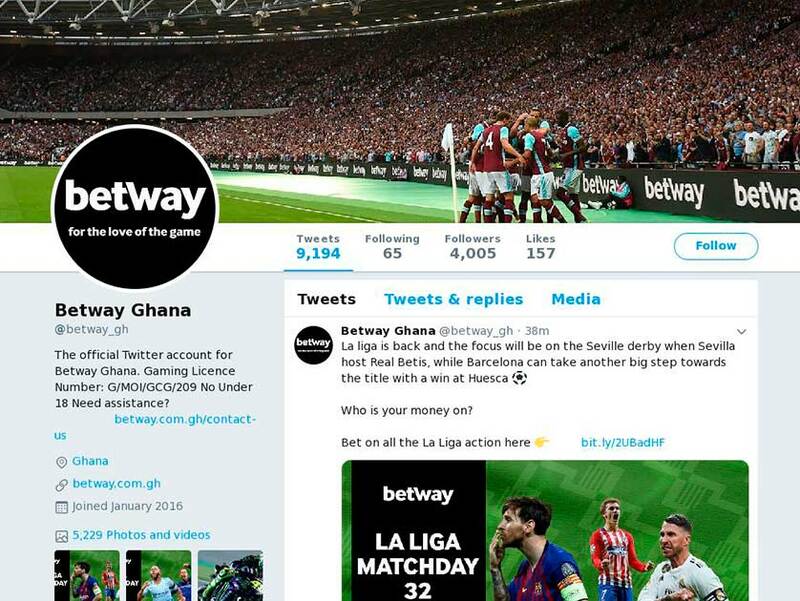 Betway customer service is known to be one of the best around, which is one of the reasons why they’re consistently ranked amongst the best bookmakers in the world. The Betway contact number UK players can use is easy to find, plus there’s also the option to use the sports live chat option, which will connect you with a member of the customer service team straightaway. Email can also be used to contact this site, however it will take longer to receive a reply. The FAQ section is a good one, so read through this first before deciding to contact the site. 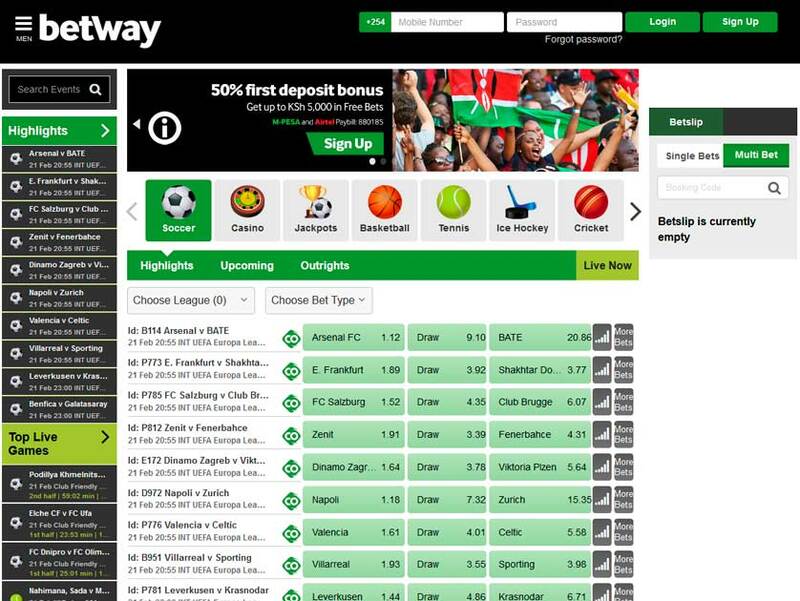 Betway is one of the world’s foremost online sports betting sites, and this is for many different reasons. The most important of these is the fact that it offers loads of sports betting markets though, all of which can be accessed using a desktop or a mobile device. The odds are nearly always competitive, and the customer service is good, plus there aren’t many safer places to bet on sports. We think that Betway is one of the best bookmakers around and encourage you to head there today. You’ll get a fantastic free bet welcome offer when you do!